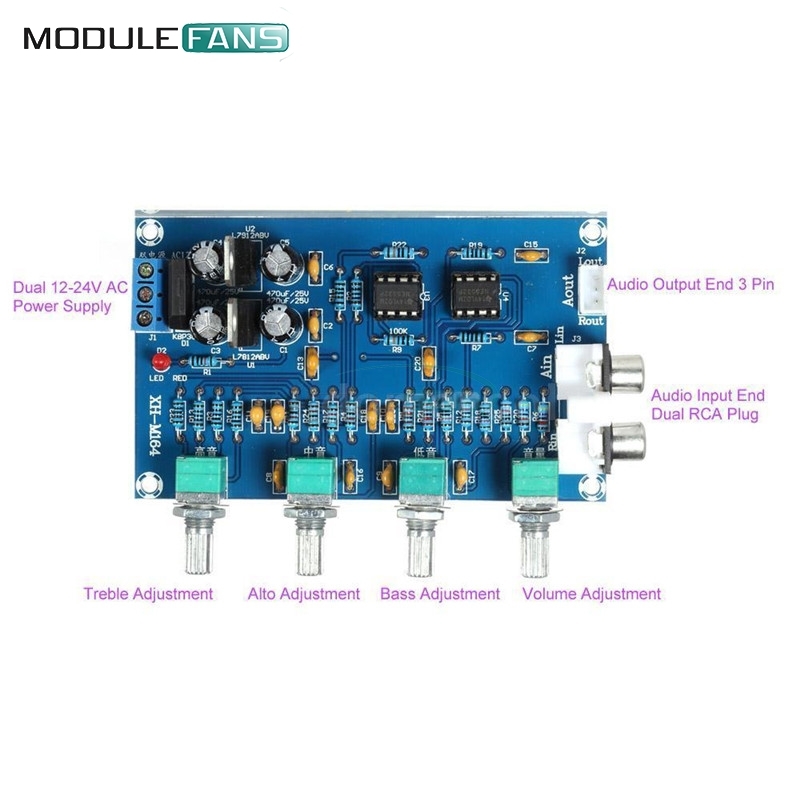 So it would be possible to use a NE5532 Stereo Pre-amp board like this in order to volume control the 2 mono amps (in stereo) and connect a single source via the audio input on the pre-amp? Last edited by AudioMech73; 23rd September 2018 at 09:03 PM. It can do the job. Very attractive price. The output cable is not the most easy to work with. The amplifiers have to be set to non-balanced mode such that you use ground and only one input line. The pre-amp has a ground line and two signal lines. The pre-amp ground line goes to the ground inputs of each amplifier module. One signal line from the pre-amp goes to the input line of the first amplifier. The other signal line from the pre-amp goes to the input line of the second amplifier. I just ordered one of these TPA3116 modules as well. Only one, just for test. I have too many other already. Last edited by FauxFrench; 23rd September 2018 at 09:37 PM. Most of these pre-amps seem to serve 10 watts per channel. That would not impact the main mono amps, right? Our reception time is random. Sometime surprisingly fast, sometime 2 months. The first board looks fine, no small connectors. It is not that the pre-amp controls directly how much output power you get. A pre-amp has a sensitivity on the input and can output a rather high impedance signal with a certain amplitude. The amplitude at the pre-amp output together with the gain of the power amplifier determines how much output power you will have. 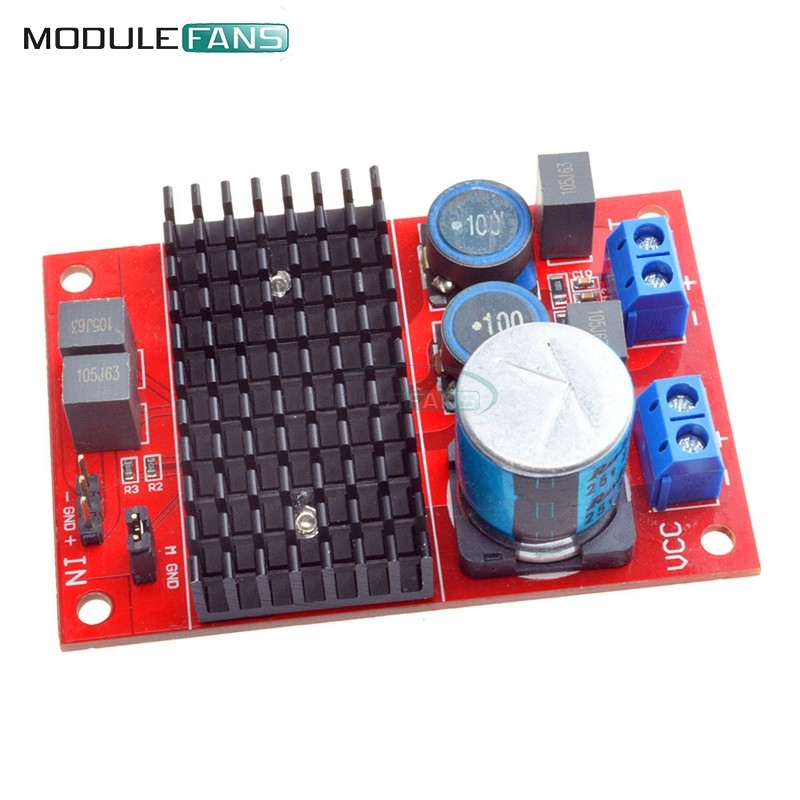 Unfortunately, there are no standards which are complied with such that you are certain you can use the full power of the power amplifier or you don't get too much output power with the volume potentiometer turned towards left. You may have to adapt the gain. Last edited by FauxFrench; 24th September 2018 at 05:55 AM. Bluetooth is a nice feature but not really required. I heard good things about the YuanJing boards; the only disadvantage is that it comes without mounting holes. Also, the pre-amp should be decoupled from the main system and use it's own power supply, right? I only need a master volume control and the source input. i) it appears that all of the NE5532 preamps listed above have a single input - and that's fine - but be aware there's no multi-input facility. ii) if all you want is a master volume control, I suggest what most others here have done with TPA3110/3118/3116 amps - just wire up a 10k potentiometer at the input. The wiring is simple, and with a stereo potentiometer it makes no difference if you wire to a single stereo amp, or dual mono amps. But there is still merit in using a pre-amp; unlike a raw potentiometer, it buffers the input and maintains a consistent output impedance regardless of volume setting, which is good for the amp. And if you go to the trouble and expense of buying/installing/wiring a pre-amp, you might as well get one which sounds good with your amp!! I see you only have a pair of small cube speakers at the moment, but once you upgrade your speakers you are more likely to appreciate the difference. A tube pre-amp looks like an interesting option. International shipping costs are a bit crazy on ebay. Are you able to recommend a board from Aliexpress @linuxfan? The first link that you provided appears to be an updated (and larger) version of the Matisse circuit. Might be better? Be aware it requires two AC transformers, not supplied. Probably not great, but just try the supplied tubes at the beginning, do a listening test using the preamp, versus going straight to the TPA3116. If you like the sound of the preamp, then consider upgrading the tubes. My notes say that a nice (and affordable) tube upgrade is the Russian 6N3P-EV, and maybe even better - Tung Sol 5670. At this point, you should talk to the expert in this area - forum member Poultrygeist. The Matisse model you suggest gets excellent ratings for the price point and the Russian tube replacements are really cheap. However, 90$ for a pre-amp is a bit over my budget at the moment and I cannot find any reviews on the alternative Matisse 6N3 boards that I posted, which could be a bit of a gamble. The reviews on the cheaper 6J1 tube pre-amp suggest that the sound does not really improve a lot and you won't get that typical "warm" sound.